New Zealand has now been nuclear free for over thirty years. 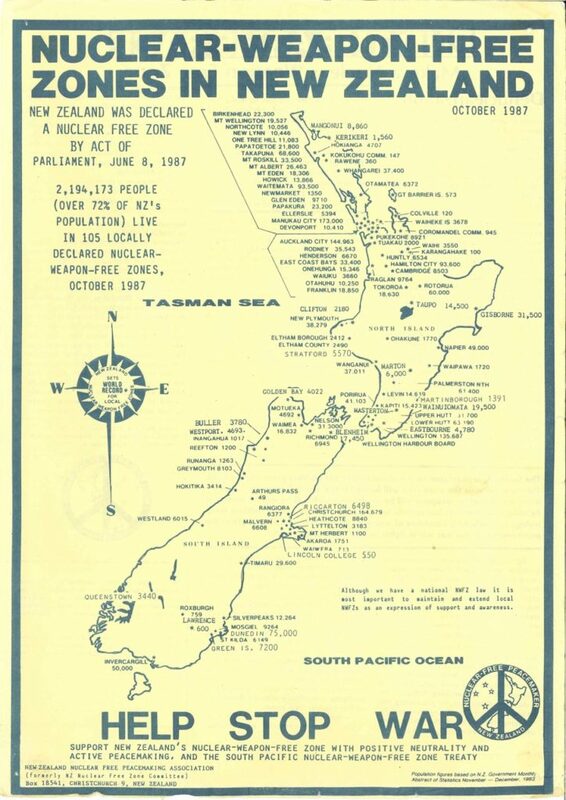 New Zealand’s nuclear-free law was the result of a broad-based movement of ordinary New Zealanders, who worked tirelessly over decades to convince other New Zealanders, and their government, to oppose the most destructive, inhumane weapons ever invented. This citizens’ movement included faith-based organisations, sports groups, students, Māori/tangata whenua, women’s groups, business networks, doctors’ and lawyers’ associations and many others besides. By 1986, there were 350 active, local-area peace groups working on nuclear issues. 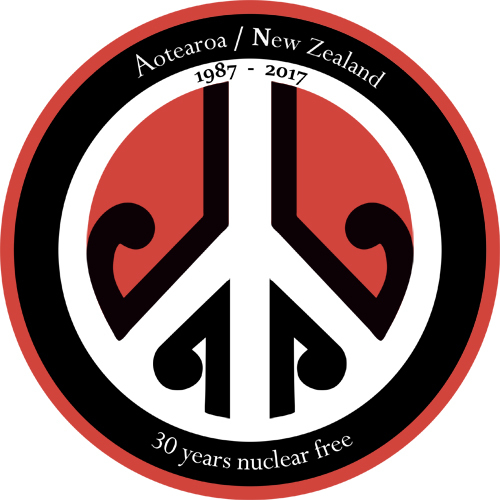 In the process of becoming nuclear free, the nuclear free movement helped to redefine what it means to be a New Zealander. A new national identity was emerging—declaring New Zealand a nuclear free zone was also a declaration of national independence. New Zealand’s identity as an independent, principled nation still resonates today in venues such as the United Nations Security Council, on which New Zealand served in 2015-16. 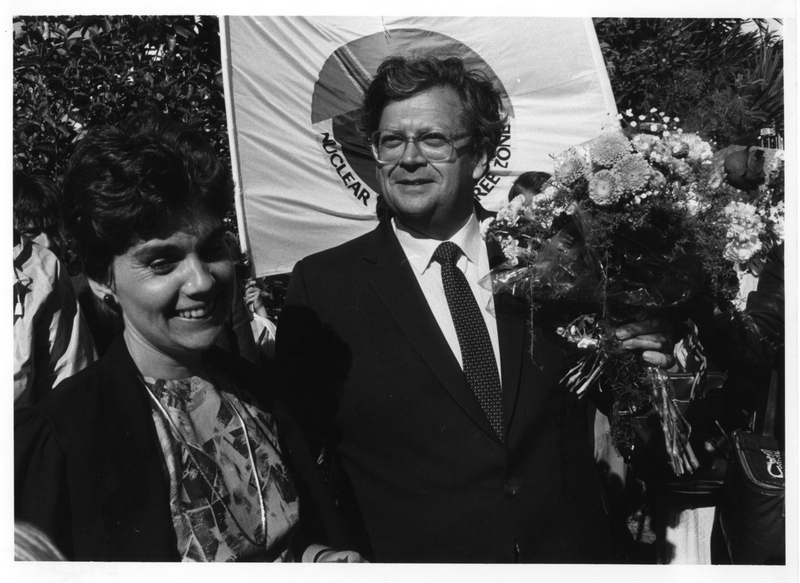 Former NZ Prime Minister David Lange and his wife Naomi, returning home after his 1986 Oxford Union Debate. 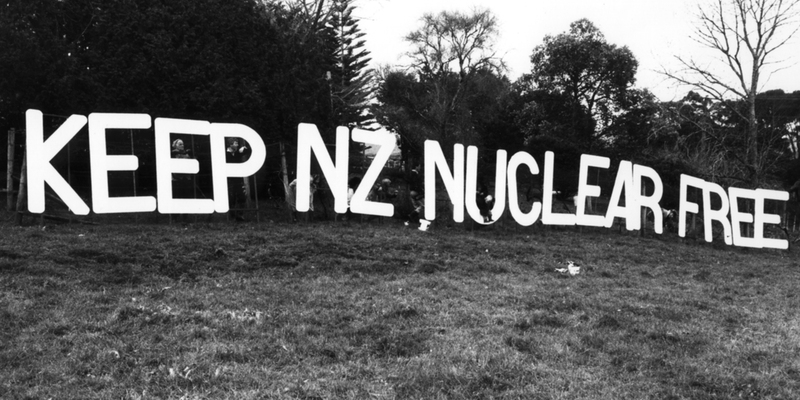 Read more about New Zealand’s nuclear free history and related issues here. For further reading on this topic, please visit the Disarmament and Security Centre’s archived website here.